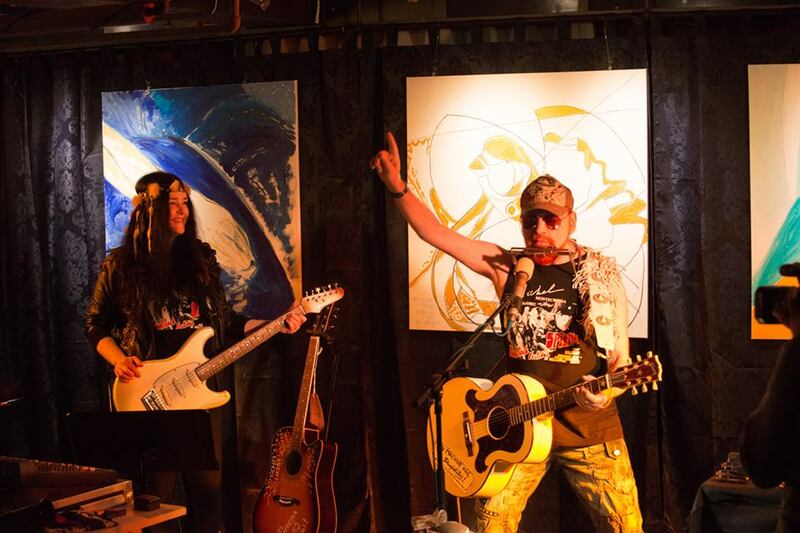 ‘Love, Peace & Happiness Climate Change Song Collection 2015’, released by Mira Sound Germany is the great New-Topical-Song 6 CD-Box and Song Lyrics Art Book presenting all 62 greatest Hits from Michel Montecrossa’s ‘Love, Peace & Happiness Climate Change Tour 2015’. Michel Montecrossa’s ‘Love, Peace & Happiness’ songs are tunes and lyrics for singin’ and dancin’ together sweet and caring. 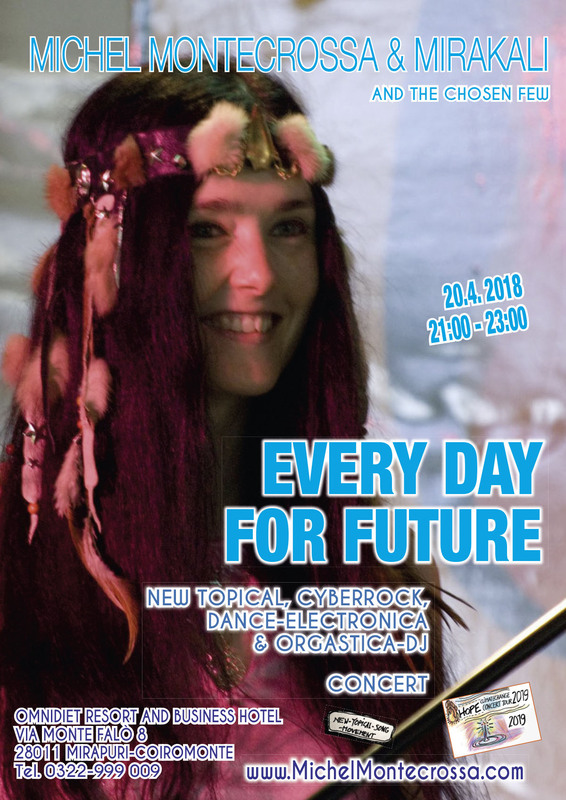 The ‘Love, Peace & Happiness’ 6 CD-Box presents great Topical-Song-Audio-Tracks like ‘End All Your Wars – Beendet All Eure Kriege’, ‘Ukraine Action Step By Step – Ukraine Action Schritt Für Schritt’, ‘Talking Blockupy – Über Blockupy Reden’, ‘Talking Future U.S.A. – Über Die Zukunfts U.S.A. Reden’ and ‘Talking Refugees – Über Flüchtlinge Sprechen’ and many more. ‘Love, Peace & Happiness’ is a thrilling masterpiece of songwriting by Michel Montecrossa for the burning heart of the 21st century. ‘Love, Peace & Happiness’ unfolds its enthusiastic messages on 6 Audio-CDs as well as in an Art Book featuring 208 pages with 62 song lyrics, powerful images, paintings, drawings, concert posters, discography and guitar chords. Song & Lyrics Spotlight: read the lyrics & listen to ‘Be A New World Builder – Sei Eine Neue Welt Erbauerin’ by Michel Montecrossa, taken from the live’album ‘Push It! The World Is What It Is! that you can read about here. New Forms for New Light. become a New World Builder. Neue Formen für Neues Licht. werde ein Neue Welt Erbauer. the being of love is everywhere. the one that’s comin’ to be real. whisperin’ magic of love’s might. mysteries of stars revealin’ who you are. the love, the wonder, the mighty thing. It’s always complete, needs to change. It moves everything yet stays the same. I touch it baby when I touch your soft skin. Special Photo Friday: Michel Montecrossa and Mirakali arrive at the Friedenskirche St. Vitus in Auerstedt (Germany) where Michel Montecrossa and his Lightsound Orchestra perform ‘The Maria Magdalena Symphony Concert’ on 2nd May 2015. Read here about Michel Montecrossa’s ‘Maria Magdalena Symphony’. The ‘Weihnachtsbesinnung (Christmas Reflections)’ Concert, released by Mira Sound Germany on Audio-CD, DVD and as Download, is Michel Montecrossa’s outstanding Christmas concert presenting 30 German and English songs of Love, Peace & Happiness by Michel Montecrossa, Mirakali and Diana Antara, recorded live on 28th November 2015 at the Michel Montecrossa Rock Vision Diner in Gauting, Germany. The concert includes Christmas Hits like ‘Talking Christmas Reflections – Über Weihnachtsbesinnung Sprechen‘, ‘Home‘, ‘Heilender Kuss – Healing Kiss‘, ‘Weihnachten Wahr Und Wundervoll – Christmas True And Wonderful‘, ‘Strong Is My Christmas Dream‘, ‘Dreaming In Your Embrace‘, ‘My Christmas World‘, ‘My Christmas Joy‘, ‘Light‘, ‘Love & Peace Forever‘. instead of a complex marriage securing the western feel. Short memory of refugees is no problem for steamrollers. The wisdom of the crowd works in terms of dollars. I don’t know all the rules – for that I’m too disinterested. Most of the time I’m staying cool to leave our clients disrupted. Something like that I said it before when I was drivin’ holes in the wall. I shake my head before recalling enemies again. A procession there was of emotions in the setting of the scene. I couldn’t believe I had fallen for her. It seemed streetwise and rather extreme. It could be grief, it could be shame, but I’ve done it and that’s the game. The last thing I expected was to go for a ride in the rain. Now I obey hunting bans and leave the village poorer. Now I am kickstarter for medical research. I’m not wondering why and how boom faded. I like to get service with an impersonal touch. By redesigning my post I’m a-getting new loads. I’m adapting to a world tryin’ to replace the world. it’s balancing financial independence with the need for love. I know a sharp data thief in Mexico. I’m not the one who crippled his nervous system. I’m only the last chance against an artificial intelligence. And she has mirror-eyes and a prophetic chewing gum. “Is there a reason” she said disgust,. and then disappeared into a ghostly effect.